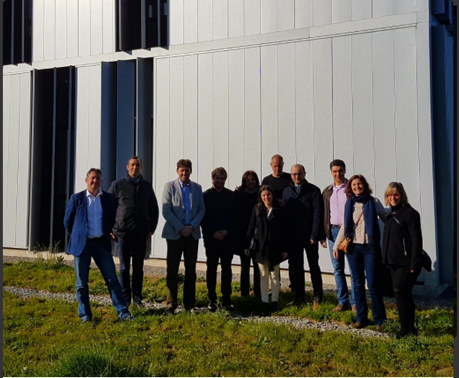 On April 6th and 7th, the partners met in Limoges for the forth steering committee of the RYME+ project. The main point on the agenda was however more upbeat : selecting the companies that had applied to take part in the project. Further to the call issued in January a total of 109 companies had applied. Selection according to the project’s criteria brought this to a total of 77 (18 in France, 33 in Spain and 26 in Portugal). In order to fill the number of places available a second call was agreed on, mainly aimed at French companies. Due to the major territorial reorganisation that was underway, it had been more complicated to promote the project effectively in that country. Unfortunately, it was also time to confirm the withdrawal of one of the partners : the Poitiers Biopôle that had been dissolved a month before. Concerning the end of Biopôles participation in the project, the discussion focussed mainly on who could take over the committments and objectives so as to maintain a balance between French, Spanish and Portuguese partners. It was decided that the CCI Nouvelle Aquitaine should stand in. The partners also discussed the calendar of future actions and events so as to adapt the agenda to the new situation and inform the associate partners in Brazil, Israel, the United States and Uruguay of when they would actively join the project. Finally, all partners sampled some Limousin staples during a friendly evening meal in the city centre !